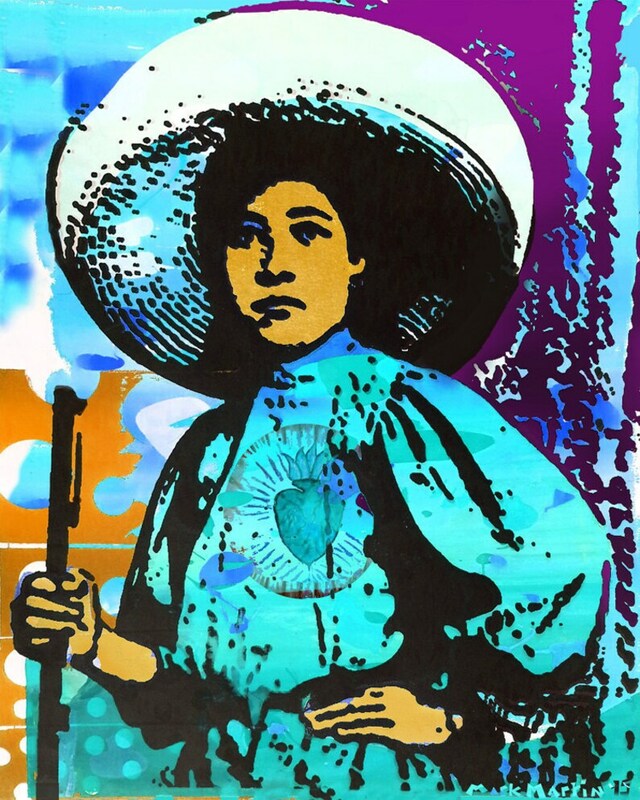 "Unknown Soldadera" Honoring Mexican women of the revolution, 5x7 inch, greeting card, aqua color. Six colors to choose from or order them in boxed set. Portrait of unknown Mexican Revolutionary soldier with Mexican flag colors in background. Other two panels are spiritual abstract of stars.